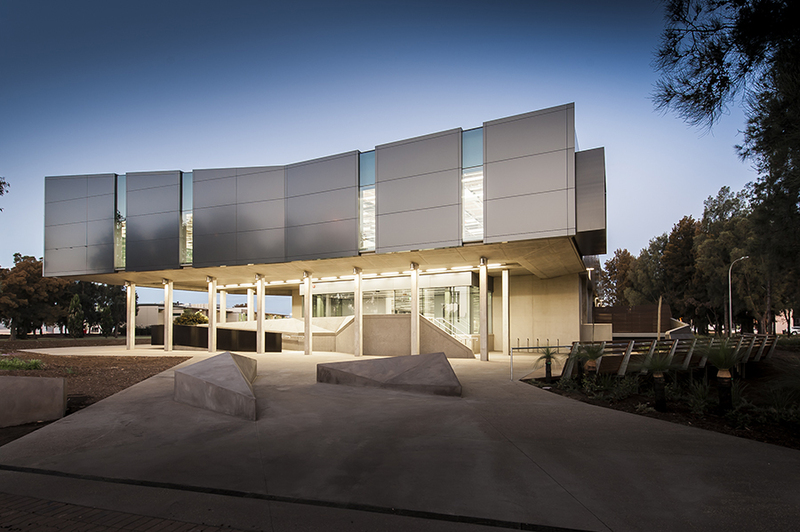 Walter Brooke has forged an ongoing relationship with Adelaide Airport Limited over the past decade, recently resulting in this confident new addition to the Adelaide Airport Terminals precinct, the SA Headquarters for the Australian Federal Police. Dramatic yet practical, it amalgamates a loose collection of existing facilities into one unified statement, improving the AFP’s functional operations while elevating its identity and public profile. 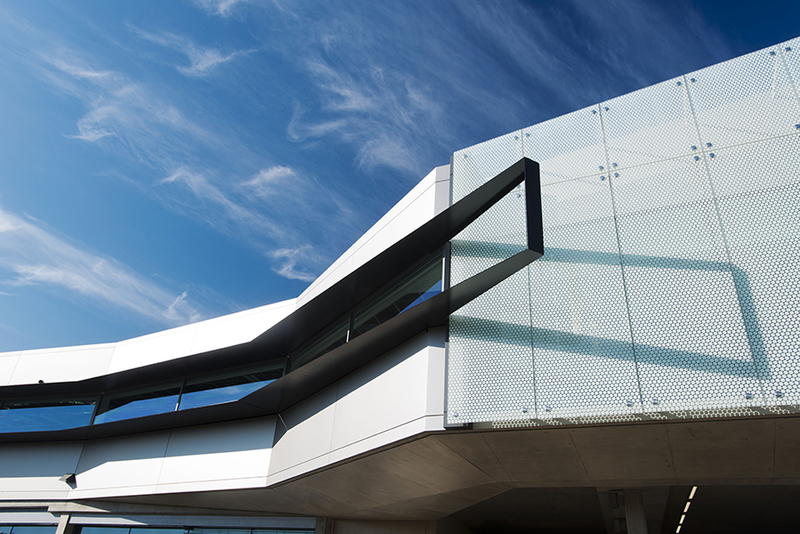 A key concept behind the design is the balance between high-level security and an appealing public presence. 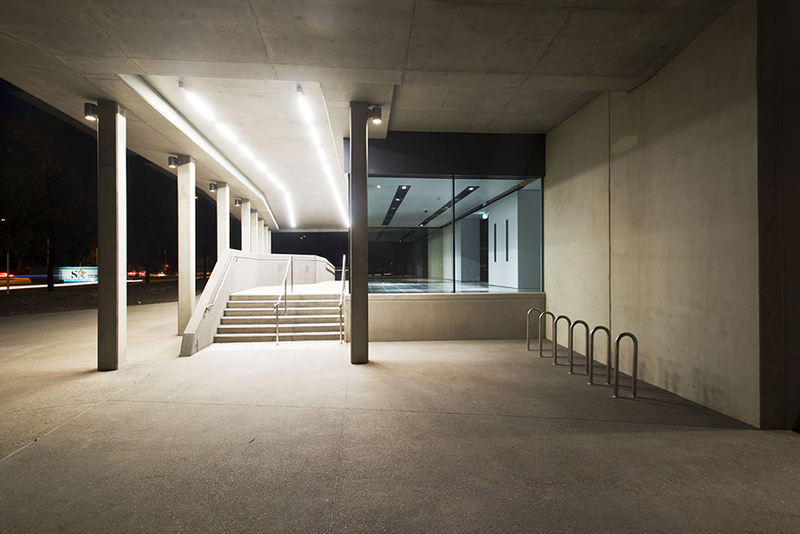 Designed to AFP and ASIO security requirements, it is softened by features such as shaped precast walls that are functionally defensive yet sculpturally inviting, and casual seating benches doubling as protective bollards. Located in a flood-plain, the building responds with elevated massing and sensitive landscaping, including earth-mounded mitigation measures. This 2600m2 two-storey building has achieved 4.5 star Nabers and 4-star GBCA GreenStar ratings for its environmentally sensitive design. 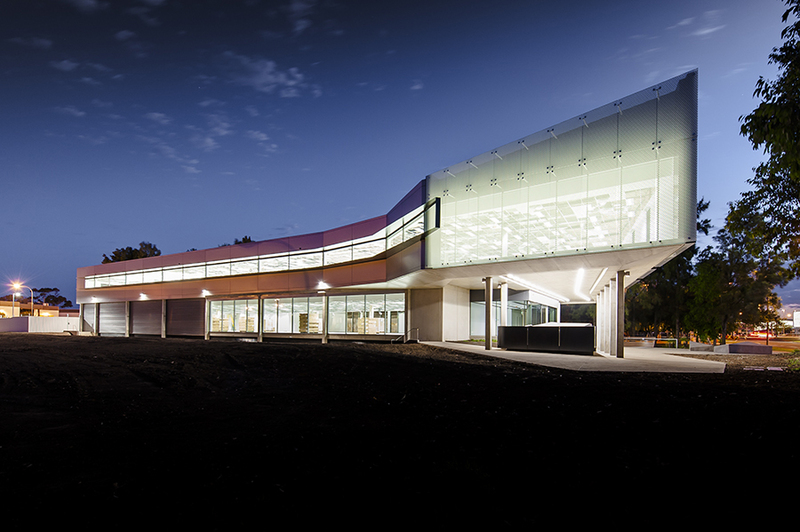 Operational feedback has been excellent, and industry recognition culminated in a Commendation in the Commercial Building Category of the 2013 AIA Awards.